SPORTY AND NICE!!! 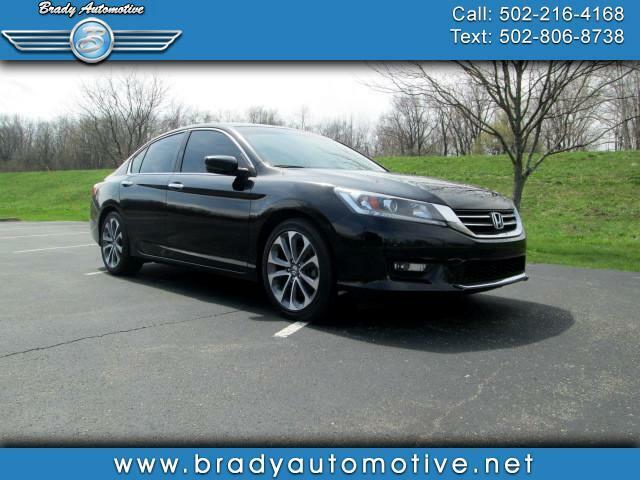 2014 Honda Accord Sport 2.4L 99,000 miles. Comes equipped with power windows, locks, mirrors and seat, heated seats, alloy wheels, good tires, cold A/C, heat. This is a super nice car inside and out. It drives out extremely nice and still has plenty of pep with the 4 cylinder engine. A clean interior and clean exterior, you don't want to miss out. Please contact Chris to schedule a test drive or stop in and see us today. Thank you!